Our farm used to be an operational dairy about 30 years ago and it just made sense to bring some cows back to the land. 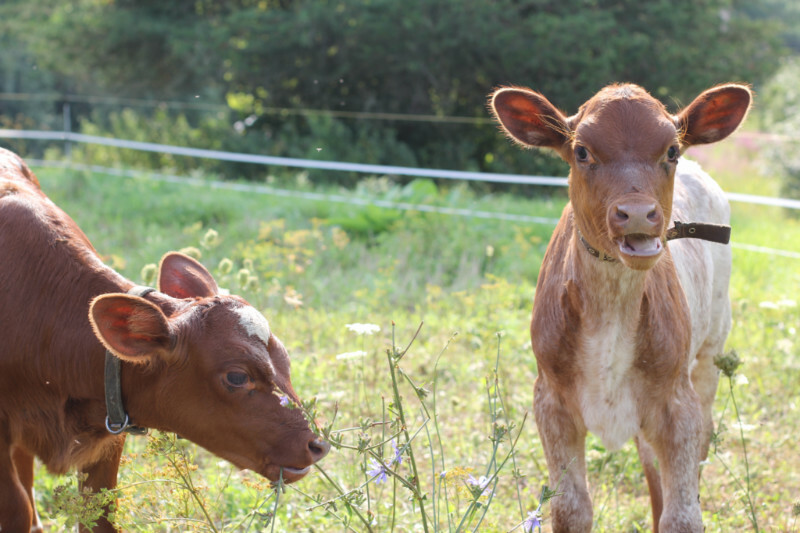 We bought a micro dairy “starter kit” from North Country Creamery that included a 9-year old nurse cow called “Big Red” and 4 little calves. With about 45 acres of pasture, we can rotationally graze a manageable number of bovines. 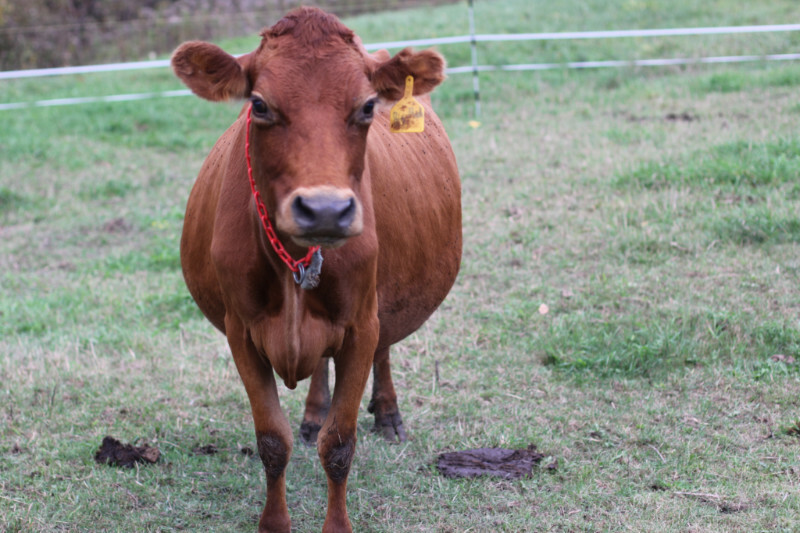 Our plan will be to use their delicious and nutritious grass-fed milk in several farm-fresh, organic products. Like any old barn, our building does need some repairs but the bones are good as the structures were all quality built. Alongside the barn, we have a 4 x 4 pit parlor, meaning a sunken concrete parlor that can accommodate milking 8 cows at one time. There is also a 200 gallon stainless steel bulk tank in the milk room which we’ve found is a much-coveted item for other small dairies in our region. Luckily we have several friends in town who used to run dairies or have worked milking cows for years, and it is their support and advice we rely on heavily. While we uncover what types of milky products our girls can produce and as we identify what kinds of small batch dairy items are customers are craving, our focus, much like our breads and crackers, is on quality not quantity. We strive for a healthy environment, economic profitability, and social and economic equity. Everyone in the food system can play a role in sustainable agriculture. We love our wild pollinators and avian friends whom call our farm their home. We will never introduce chemicals and transgenic crops (GMOs) into this fragile ecosystem. Treating animals with compassion, the utmost care, and respect creates an environment they can thrive in and elevates what they produce to another level of quality.